Help Documents - Version 5 Add Sales Items (Tickets)How do I add Tickets? A ticket = sales item. This step is repeated for each sales item you add. You can add as many sales items per group that you need - there are no limits to the number of groups or the number of sales items. The Item Action column provides tools to manage your items. The information to the right provides summary information about that item. 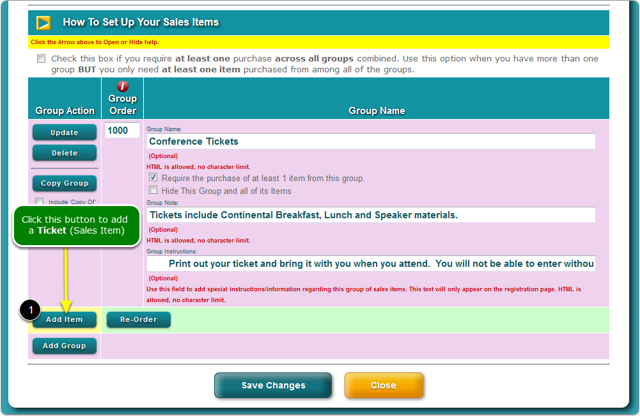 Prev: How do I add a Group of Tickets? Next: How do I change the display order of Groups (Sales Wizard)?